In 1879 Rochester, NY seedsman James Vick included this formal garden design in his magazine [below]. 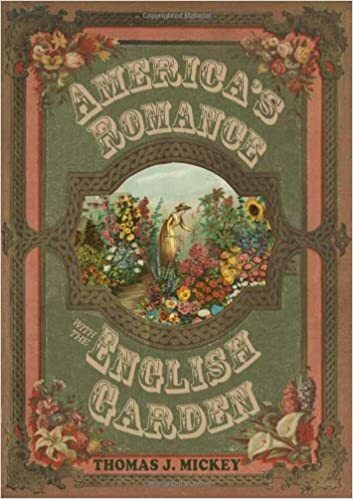 Though carpet bedding and the wild garden were current topics at that time, the insertion of this image indicated some gardeners preferred a more formal look to the landscape. 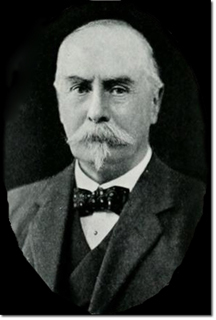 By the end of the nineteenth century English landscape architect Reginald Bloomfield promoted a return to the formal look to the garden. He rejected the naturalistic design proposed by the landscape gardeners like William Robinson and the perennial borders of Gertrude Jekyll as well as the elaborate vulgarities of the Victorian garden style like carpet bedding. He saw it as his duty to restore the formal garden design to the English landscape which he preferred to the naturalistic style, favored by landscape designers for decades. So a battle between proponents of the naturalistic design and the formal design surfaced at a time when gardeners were looking for direction. Do I choose the one or the other? With Bloomfield there was no question. Today we think either style may be appropriate for a particular site, and perhaps a combination of the two. 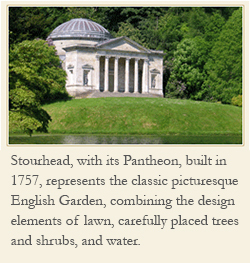 The English move to a formal garden design also happened in America with landscape architects like Charles Platt. So the choice between the naturalistic view and the formal view took sides at the turn of the century both in England and America. The situation is not much different today when the homeowner faces the question of a formal garden versus one with a more naturalistic bent, including less lawn and more native plants.